Benchmark Health Insurance Company was once a subsidiary of Swedish American Health System, a company that provided healthcare via clinics and doctors’ offices. Benchmark was their way of providing an additional service to their customers by providing affordable health insurance as well. Enter your zip code below to compare health insurance quotes from reputable health insurance companies! In 2001, Benchmark was acquired from Swedish America Health System by Midwest Security Insurance Company. At that time, Benchmark was absorbed into the company rather than being a subsidiary of the company. Benchmark was founded in 1994 and began writing policies in 1995. All of their business was in the state of Illinois. People who carried Benchmark when it was acquired by Midwest Security had no changes in their insurance policies or prices. Everything remained the same until their policy expired. 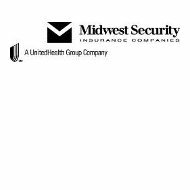 Midwest Security is a United Healthcare company. They say that they are licensed to sell insurance throughout the Midwest as well as several other states, although they don’t list what those states are. They have an A.M. Best rating of A-, which is a rating of Excellent and they have a stable outlook. Their assets are in the $25M to $50M range. Midwest Security offers a variety of products. Midwest offers both group and individual health insurance options. They do, however, stipulate on their website that they specialize in group health insurance. This doesn’t mean that they won’t offer affordable options for individuals; there is just a bigger focus on group insurance. Midwest does not say whether they have their own agents to sell insurance. However, with five regional offices, it is likely that at the very least you can purchase insurance directly from them. In addition, they recommend that if you have any questions that you contact them. A look on the Better Business Bureau shows that Midwest Security has a rating of B+. However, this rating is not due to any reviews or complaints, but because Midwest has not responded to the requests from the BBB for more information about their company. Benchmark Health Insurance Company does not come up on any searches on the BBB, nor are there any reviews or comments online regarding how the company performed in the past. This doesn’t speak to a lack of good service; it just has been several years since the company has provided services under their own name. You can learn about any claims that you have regarding your health care online on the Midwest Security website. You will find several forms available for making your claims as well as referral forms so that you can see another physician or a specialist if necessary. To file a claim, you are going to have to submit paperwork directly to the company. It is in your best interest to find physicians that will accept your insurance card as your payment and then bill your insurance company directly. This will minimize your out of pocket expenses and allow you to get the care that you need, when you need it. If you want a quote from Benchmark/Midwest, then you have one of two options. First, you can contact Midwest directly and speak to someone in customer service. As mentioned above, they don’t mention actual agents on their website. Doing this will either garner you a quote or provide you with information on how to get a quote. The other option is to send in a request via their email contact. This method isn’t really recommended simply because you will probably end up having to speak with someone in the end anyway. However, if you want to attempt this because you don’t want to speak with a representative of the company, email is the way to go. Enter your zip code below and get fast health insurance quotes right now!